I’m back in my little guys bath trying to pull things together as it is still a work in progress. I needed a towel bar that could hold up to rough and tough tugging little hands. We have a wall along side the tub that seemed to be the perfect spot, until we discovered the placement of the studs. 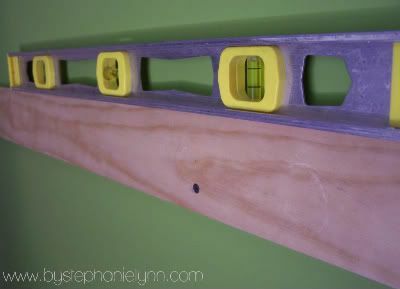 From experience, I do not put a whole lot of trust into the plastic wall anchors for items that will be yanked and pulled daily. 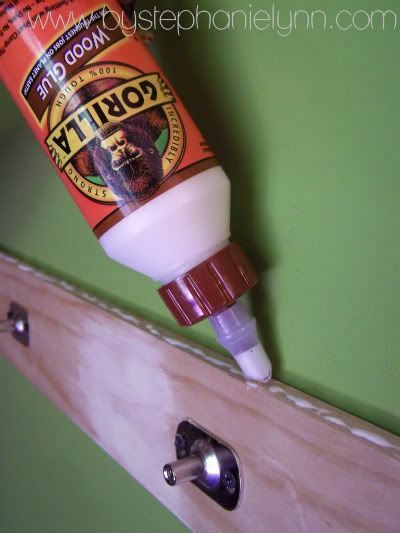 This quick little solution works perfectly, plus it added a little shelf for more decor! I’ll be back tomorrow with another ‘buggy’ project for this space. Enjoy! my father is working on the same thing for me for my master shower but is using hooks instead. i canlt wait to see your final reveal. It’s darling – I love it! Really cute! I like the rings you picked! That even looks cuter that just the rings by themselves. Love it. I would have had to use hooks though. The rings would just take way to long for the kids to hang them. What a great idea!!! I love the look of the the 3 rings on the white wooden boards. Great idea – and it looks great!! Stephanie – that is awesome…we need that here too! 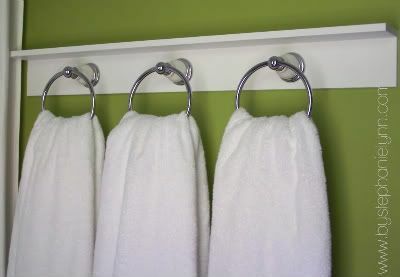 So many guests, never enough towels…great idea. Good idea… I love that it is different. And it’s also nice that it can hold 3 towels! What a great idea!!! And I have the perfect spot for this project. Thanks for sharing. What a fantastic idea, I need something like this in my bathroom with lots of little hands that need drying. What a great idea! 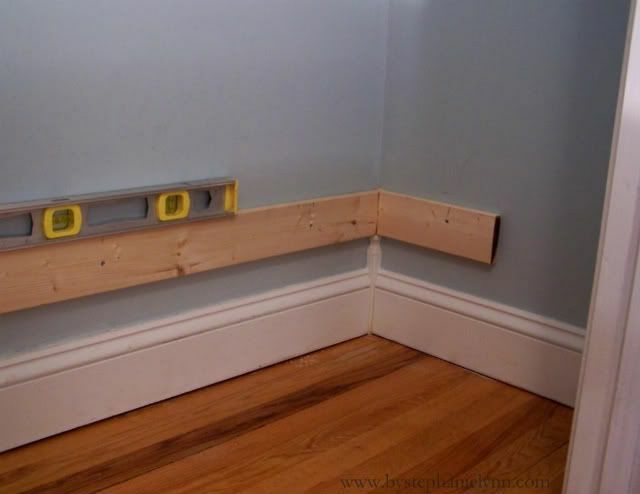 I hate searching for studs and finding they are all in the wrong places. Genius! Love this idea! You come up with the best stuff! Lovely! You never cease to amaze me with your genius. My BFF needs to see this. Her 3 boys share a bath & this would be perfect for them! Ugh, I have the same problem! 😉 Good to know there’s any easy solution! Thanks so much for sharing, I think this will be perfect for the bathroom I want to update. This really turned out great and does not look that hard at all. Thanks so much for sharing. That should hold up to your boys, for sure!! Love & blessings from NC! Looks so clean and crisp. 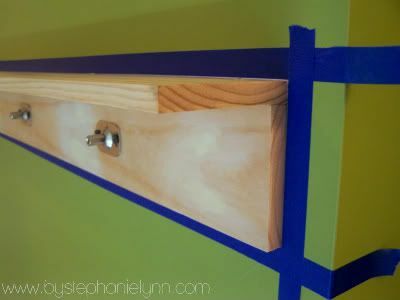 I need to do this because I am tired of my daughter pulling down her towel bar. What a great solution. You’re such a dear!!! Just what I need! Oh I love that…what an awesome project! I love two for ones lol…shelf plus towel holder! Genius idea! And so adorable too!!! Love this… thanks for sharing! 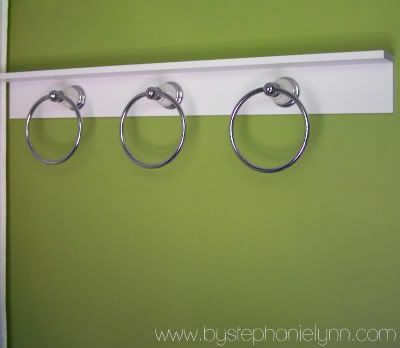 I love the idea of putting the towel rings on a board instead of directly on the wall!! I love this! Its a good way to fit more towels in. More interesting than a double rod. Great idea! My “boys” are 19 and 23 and they still almost pull the towel bar off the wall! What a great idea! I have a similar situation with a towel bar that has been ripped out of the plaster more times than I can count. I may have to borrow this idea! SO CUTE! I love it — and love it’s practicality! Boys just don’t know their own strength!! What a great idea! I could use something like that in my boys bathroom so they would each have their own hook. It looks great, I love it! This is so cute and so chic…..but, I have to have the chalkboard globe!!! Oh, Oh, Oh, that is so fantastic. It is the classiest chalkboard I have seen. I would love it in my kitchen with menus on it and the name of the countries. Love, love, loving it. Thanks a million! So nice to stop by. I love this and we don’t even have littles that will hang from it as we are an empty nest now! We have a towel bar in our tub area that no matter what kind of great anchors we try the bar pulls out of the wall. I’m going to mark this post so that when summer slows down we can try something like this. 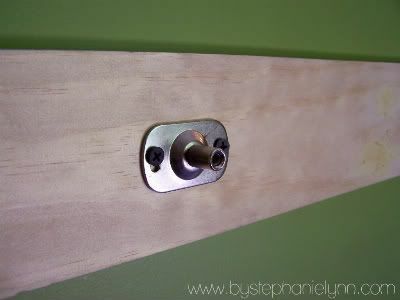 i thought i was blown away by finally finding an idea i LOVE for our akward kitchen wall, and now as i read through older posts i find the PERFECT solution for a towel bar in my toddler’s “soon to be made over” bathroom??? goodnees gracious lady you’re blowing me away here! 🙂 thanks so much for the wonderful ideas! This is a great solution and it looks fantastic. Thanks for the idea. I just wanted to stop by and let you know that I linked to this post today from the new Home & Garden channel at Craft Gossip. 🙂 My hope is to share many of the fabulous projects I see everyday with the vast CG audience. I hope you will not only stop by and subscribe to CG, but will tell your friends about the new category! Hope you see some traffic from it! If you would like a “featured by” button, you can grab one here! WHAT A FABULOUS idea! TRULY, I may have to borrow this when we redo the kids bath. Not only is it just gorgeous but so functional too. Thanks for sharing Stephanie~! Oh wow. I really love this! It would be perfect in my bathroom. Thanks so much for this, I’ll be linking. Hi Stephanie! I just popped over from Met Monday. 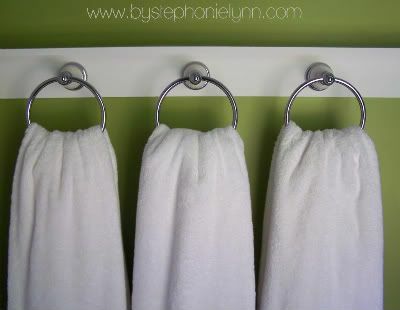 Great idea for the towel rack! Looks so nice there, and I never would’ave thought of putting rings on it. 🙂 Hey…does it work for husbands, too? lol! Very cool!!! I love how it turned out—we need another place for towels in our bath, and there’s not much room for a purchased towel bar, but I think this might work really well because we can make it any length we need! Thanks for sharing! I love this! It turned out so cute! I have just the spot for it in my bathroom!! That looks so great! 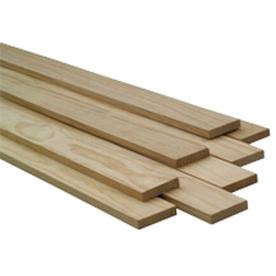 I wish I were that handy with wood. Great idea! I am so going to copy this! 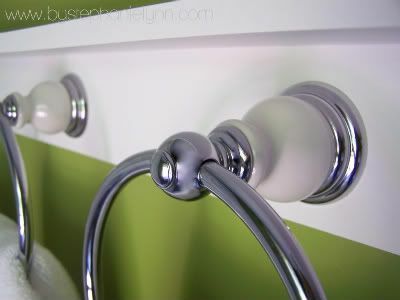 I have a thing against towel bars but my kids need something in their bathroom….this is perfect! Thanks for sharing..and I am now a follower!